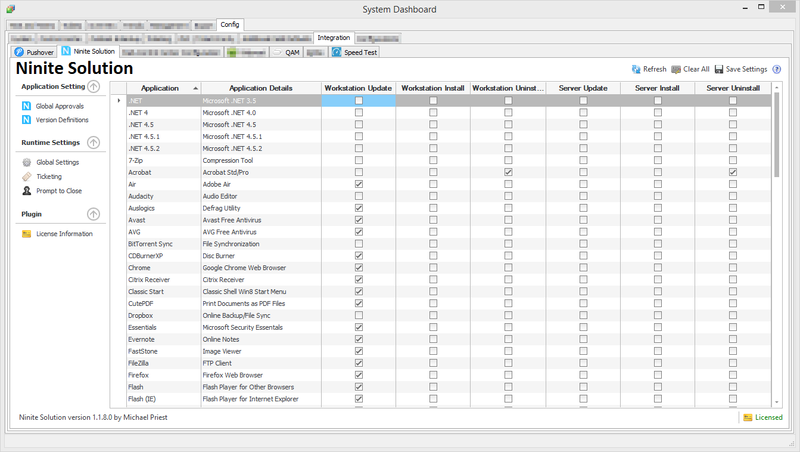 Ninite is a stand alone service that lets you update, install and audit popular third party applications. Ninite Solution has been built from the ground up with a single purpose. 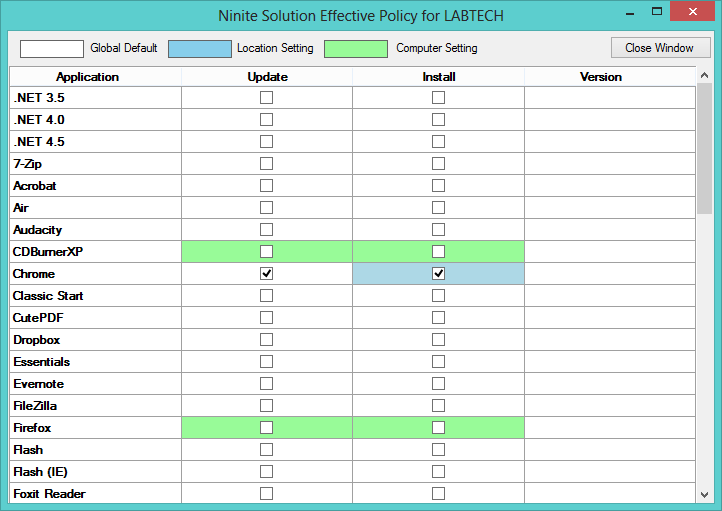 To integrate both Ninite and LabTech to provide a easy to use interface giving you complete control over Ninite. Schedule recurring application maintenance that performs Installation and Updates of commonly used applications. 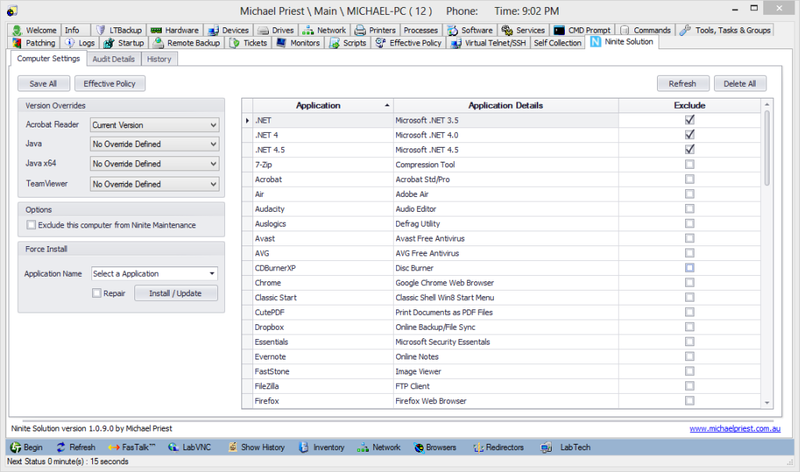 On-Demand application maintenance to perform single application Installations, Updates and Repairs. Pop-Up Bubble Notification to keep your clients in the loop. Ticketing: Ticket integration with your PSA to have an audit trail of what tasks were performed. This thing is going to save me and my team HOURS of mundane work that we all HAVE to do, but completely hate as it could be time better spent. I'm also VERY interested in getting this. Now providing a trial period of 7 days for those that are interested, please send me an email or private message with your details, and ill get back to you. Just bought a Nnite Pro subscription because of this!! Awesome work Michael! This looks to be very interesting. I'd love to see this in action. let me know what information you need to sign up for a trial. Thanks. Just send me an email with your name and company and ill send you back the trial, i am trying to make this process a little more streamlined, also you can PM me on this forum with the details if you prefer. PS. Have also updated the original post with a few more details / screenshots. I have been using this for a few weeks now. I can confirm the awesomeness of this plugin. Michael is also awesome to work with. Well worth your money!! MPreist , i sent you a PM. I cant locate you email anywhere. 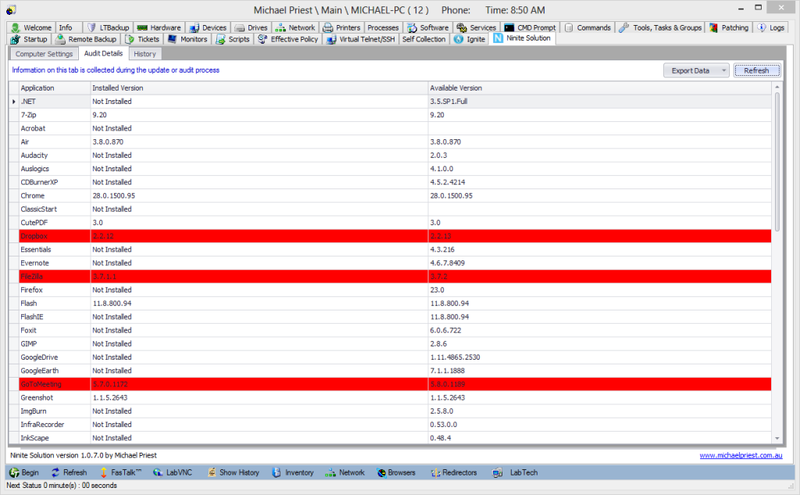 i'm on IRC as PortlandITGuy too. I'm interested in trying this out. thanks. sending you the information via PM. Hi Philip, thanks for your interest. we have spoken and exchanged contact details! -Is a ticket created every time the script is run, whether or not anything was updated? Would prefer if a ticket was created only if something needs to be updated/installed. Overall, really awesome so far! 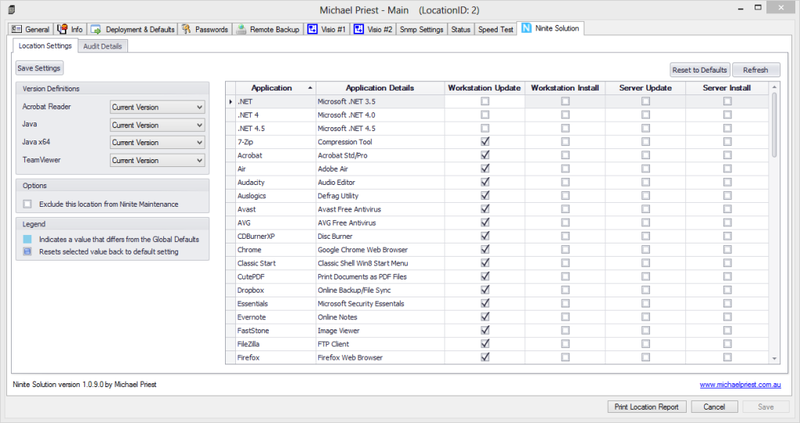 Just made available the latest update for the Ninite Solution, I've updated the screenshots and some of the post info, if you're interested in the release history / changes please review the updated documentation which is linked in the initial post. You have made a great plugin even better! Knowing what changes will be made in advance and what has been updated, when is incredibly useful. Great work Michael. Keeps getting better and better. Micheal I'm' looking to use the trial, if we decide not to purchase Ninite, how hard is it to back out of Lab Tech? If you decide not to use this, you can easily disable and remove the plugin and delete the scripts that are created. we use the tool, it is awesome. Everthink works well and we already get some updates. For us is important that it is automatically open, edit and Close tickets, so we can Report to our Clients that we did work(by ticket Report). We did a test with 100 agents, pure satisfaction! Now we update the rest, step by step. I'll second what oheymanns said. We have been using the plugin for several months and love. 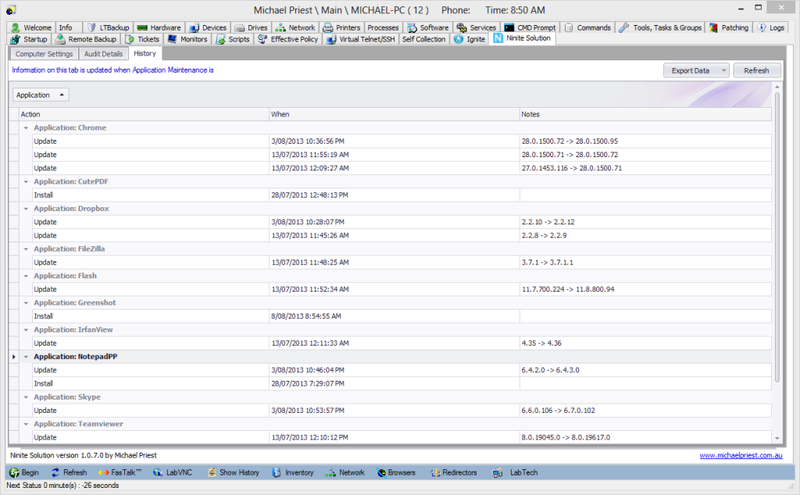 Michael also takes time to constantly improve on the performance and options. It's a homerun. Highly recommend it. I also highly recommend this plugin! I sent you a pm asking for more information about the trial. We'd like a quote too, please. We just installed the trial today. So far, I'm very impressed with it.